Integrated Multi-Trophic Aquaculture (IMTA) is acknowledged as a promising solution for the sustainable development of aquaculture. However, IMTA has been only tested at very small scale in Europe, while management of large-scale IMTA areas remains difficult. 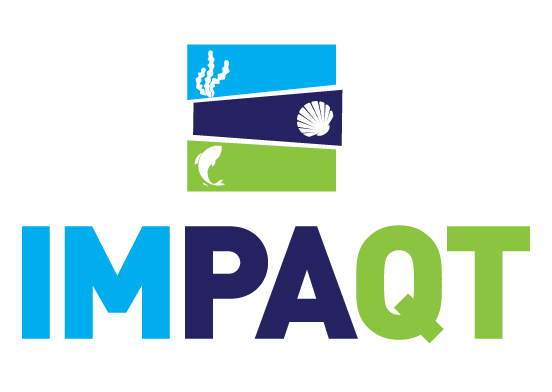 The high level ambition of Impaqt project is to drive a paradigm shift in EU Industry, paving the way to both a more environmentally friendly and more efficient/higher yielding European Industry. To that respect, Impaqt proposes an intelligent management platform for IMTA. Impaqt will develop and deploy novel sensors and data sources, together with smart systems required for long term autonomous monitoring in the field. An advanced IMTA model will be provided which yields spatially explicit information on how the different farm components interact with the environment on the scale of an ecosystem and that can be used for planning decisions by both farmers and regulators. Last but not least, an integrated management system, operating at the scale of an IMTA farm and comprising analytics and decision support functionalities, will be developed to enable enhanced operational decisions for animal welfare, production optimization, environmental protection and food quality assessment. Camli Feed and Animal Husbandry Corp.